Hello? How May I Arrange Your Tour? "A good day is when you accomplish one thing. A great day, when you complete two errands, but expect things will take longer than you plan and that you will never be able to get all of your groceries at one place. But you can get a great facial in this city." The first week I arrived the common advice was to expect little in terms of shopping. Before moving here, I had already resigned myself to the fact I wouldn't be hopping behind the steering wheel, parking in lot the size of a football field, and running through the self-checkout with two gallons of fresh milk, a loaf of bread, and a lamb shank. Driving? Off the to do list. Parking? 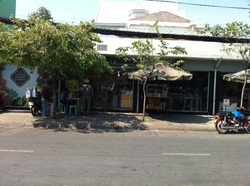 In the city, people pay to stash their motorbikes on the sidewalk or alley or they have the taxi or personal driver deposit them in front of the store. Shopping malls, wholesale centers, and some small supermarkets offer parking lots, but because urban density is high and the city is already sprawling, there isn't much demand or space for parking lots that resemble the International Space Station. As for finding everything in one store? Good luck. If you are like me, scrambling on your smart phone looking for the address to one of the stores that sells Western food, then today I can help. However, the city is fluid, meaning the address and information about these places may become quickly out of date. As long as I am here, I will try to keep this current, but who knows? There is only a limited amount of time and interest I can spend shopping for food. The closest thing to junk food you will find here are Kettle Potato Chips, and this is why gourmet is part of the name. Prices are to be expected of gourmands, but you get what you pay for. They specialize in organic and imported food and house a deli that offers free wifi. 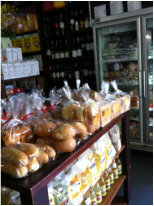 The shop on Thao Dien offers the best gluten free selection I've seen in the city. The shops offer delivery in Districts 1-3, but really it doesn't take long to peruse their offerings in such a pleasant environment. 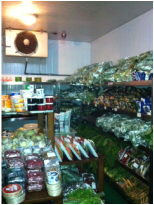 Veggy's specializes in imports and fresh produce. It is on the higher end of the price spectrum, but offers items you will not find anywhere else, such as Cascadia frozen fruit. A box of frozen blueberries goes for about $25. 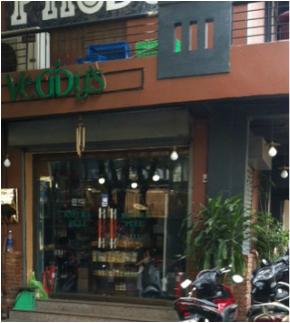 They offer delivery too and just moved to a nicely designed store on Thao Dien in District 2. 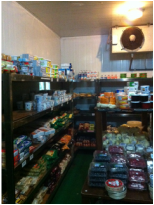 They ship fresh produce from the company's farm in Dalat, but offer imported foods, such as Eden Organic Brands. In addition to organic food, they also sell fair trade items. They also offer fresh rice flours from Laos, specialty dressings, oils, and ethnic foods, such as miso. Above a vegetarian restaurant, which on a Wednesday lunch hour boasts a crowd befitting a small wedding, the shop offers both locally grown and imported organic food from around Asia and many items from the US, purchased from Trader Joe's, Costco, and Whole Foods. The shop and restaurant offer quality food under the mission to "Go Vegetarian, Live Green, and Save the Planet." It is definitely worth the meal and a little jaunt upstairs to find food treasures you won't find in other stores. Metro may not be where you find the highest quality imports, but the store franchise itself comes from Germany, and is the fourth largest retailer in the world. A membership retailer, like Costco, it sells to everyone, but the shelf space is dedicated to the local market, as it should be. You can also find appliances, kitchen wares, tools, and seasonal items, as well as a cases of everything else: MSG, instant noodles, beer, and heaping quantities of fresh river crab, larvae, and live sturgeon. Part of the Classic Fine Foods company, which supplies imported food to high end restaurants around Asia, the Middle East, and Europe, this little shop is the first to provide delivery through the Vietnammm.com service. 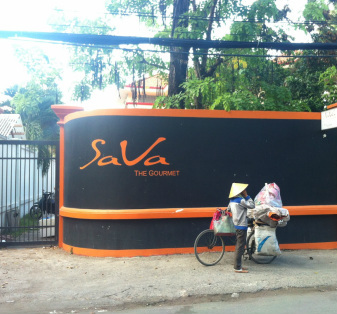 Offering variety of imported pasta, oils, meats, and cheeses, for slightly better prices than the other markets, it situated in what will be the rapidly changing Thu Thiem area. Unfortunately, they do not offer fresh vegetables and fruits, but this is one stop worth making for European delicacies. Offers online ordering and free delivery of their imported meats. They offer marinaded and fresh lamb, beef, pork, and chicken in addition to sausages and minced meat. With two locations and the delivery option, you may pay a higher price, but the meat is high quality. Who wants to be jawing on a hunk of fatty flank for fifteen minutes? Plus, one of the shops is located in the Snap Cafe complex, where you can grab the best burger in town, or check out their lending library or community post boards along with perusing the other shops in the round. There are two speciality shops that have been around a long time and offer floor to ceiling Western items as well as a fair selection of Indian foods. 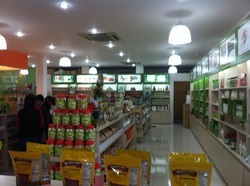 Thai Ha is the better organized of the two shops as well as better stocked, and is on the left hand side. You can also find baking supplies, Western style feminine hygiene products, or hard alcohol. In Phuong Ha, young female clerks follow you around, carrying your basket and directing you to the items you request. It is a bit like being in the Room of Requirement, and there is a likely chance the thing you request will be a near-match. Not having seen corn flour at Veggy's (which they sell), I asked for it here. They gave me a box of corn flour for 30,000 Dong. When I came home, I learned it was really cornstarch, which the Malaysians and Australians call flour. You should also look at the expiration date of the item before you put in your basket. If you stop here, it is also worth a look at the Vietnamese deli on the corner. It is always busy. 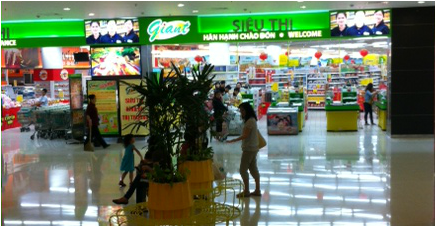 In the manner of supermarkets across Asia, Giant in placed on the basement level of Crescent Mall. It offers a wide selection of baked goods, vegetables, fruits, dairy, and meat as well as Vietnamese condiments and ingredients. They also sell housewares such as dishes and small appliances. A small liqueur store is attached. Sounding a little USSR? Perhaps this government-owned supermarket won't make it on many search engines, but it offers more than food. 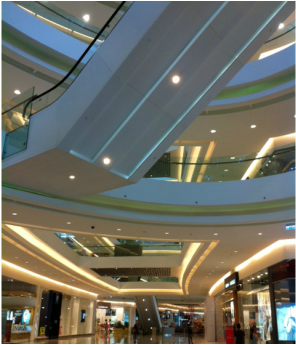 At the entrance of An Phu Superior Compound, the two-level building also houses a pharmacy (Medicare), a bookstore, a fashionable boutique, a hair salon, and a shop with children's clothing and toys. 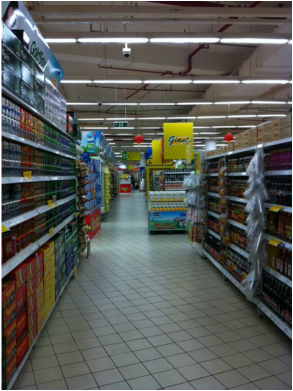 It is a no-frills store, with one aisle labelled "Food" which consists of canned food, both imported and local. They, however, sell a little bit of everything: wine, juices, fresh produce, dairy, and frozen meats, even if they aren't labelled as "food." A partial list can be found here of the many stores in the city. 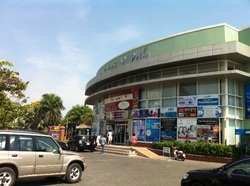 This is a Vietnamese-owned supermarket, the first one listed, is in a shopping mall as well. They offer most of the vegetables you would need to make local cuisine as well as other ingredients. They have an aisle labelled for Japanese and Korean imports and sell some Western items, such as canned food and cereals. People don't necessarily speak English in the store; however, they smile and will try to help you if possible. You can also find fresh juice, but be forewarned it doesn't have the corn syrup or sugar people in the States have come to expect. There are other mini-Sieu Thi, supermarkets, that are incorporated in apartment buildings, taking advantage of both a local consumer base as well as fitting into a high density design. They are smaller and offer some Australian food and Asian imports, such as Korean BBQ sauces.